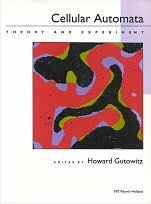 Cellular Automata: theory and experiment: Proceedings, Los Alamos September 9-12, 1989 (Physica D 45). It is essential for the cellular automaton theorist to contemplate these various generalizations. On one hand, a generalized CA may exhibit behavior with character and origin similar to some CA behavior of interest. This behavior may well be more tractably analyzed in the variant CA, and the experience gained in that analysis may be brought back to illuminate the cognate CA behavior. On the other hand, elucidation of fundamental differences in behavior between a CA and some variant may help sharpen focus on the domain in which CA may be expected to perform well - as models, as devices, as sources of mathematical theory. The cellular automata which are interesting relative to any specific question are likely to form a Lebesgue measure-zero set in the set of all cellular automata.